Yes, it actually works. But what an odd solution. It’s a finger. A robot finger. A robot finger that’s controllable via a smartphone app. I’d love to be snarky about the Naran Push, one of the odder products I found here at the CES show. But you know, it does the job, even if it seems fairly obvious that should be other products that would effectively perform the same function. It’s just that I can’t think of any. 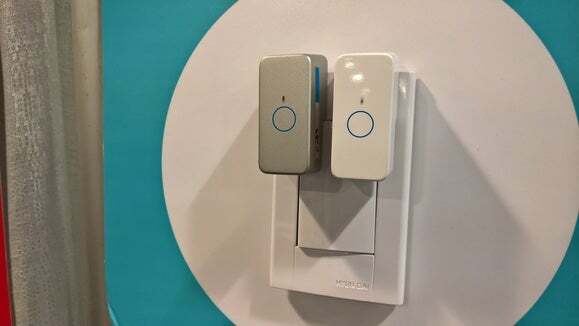 The Push is a small $49 device that can be mounted on a wall, appliance, or other device, that’s compatible with Naran’s Prota OS for controlling smart homes. 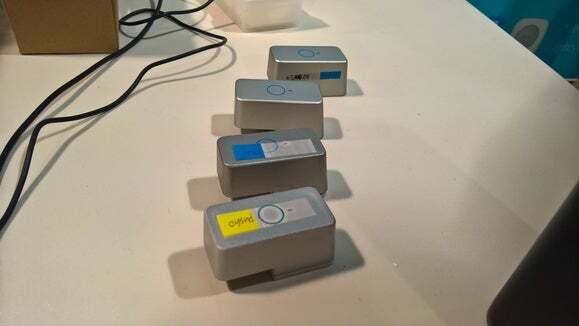 Trigger it, via a Bluetooth Low Energy connection and a smartphone app, and a small, cushioned rod extends. If positioned correctly, that rod can flip a light switch, push the “brew” button on a coffee maker, or perform a similar function. As you can see, a Naran Push-equipped light switch can get a little crowded. The problem is that the Push’s limitations become instantly apparent: they only work in one direction. Flip that light switch up, and you’ll have to walk over and flip it down again—unless you mount another Push directly beneath it. And yes, that works—it simply looks so, so awkward. If the Push has any competition, it’s the Clapper—yes, the “clap on, clap off” product that dominated late-night commercials for a good few years. But the Clapper—and I can’t believe I’m explaining the technology behind the Clapper—works by turning on and off a special socket when it hears a handclap. That solution obviously doesn’t work for many appliances. So yes, if you buy the Naran Push, your friends may giggle. They may suggest that you give it as a gift, or mount it on the outside of your car to settle scores with drivers who cut you off. But when it comes to wirelessly flipping a switch, one manufactured before the Internet of Things, what else is there?